Students meditate on inequalities between the North and the South of the world and say something about it! How to sensitize young students to global problems to make them meditate about the links between our life, our every-day habits and those of the people of the whole world? How to get them used to the reasons of the inequalities between the North and the South? 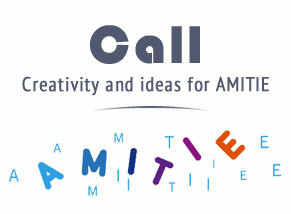 AMITIE enter the schools of Riga, Bucharest, Bologna, Andalusia and Umbria to answer to these questions. There, thanks to some social educators, it proposed expressive workshops in which the students have been consulted about these themes. During 2012, the students of a middle-school and two high-schools in Bologna have trained themselves to be communicators and to bring their message to their city. They actually identify in their consumptions the origins of some inequalities. The students of the “Aldini Valeriani Sirani” school of Bologna followed the way back a T-shirt production using a self-produced film clip and, thanks to that, they have been able to talk about migrations, denied rights, labor exploitation and other questions, which normally we are not used to talk about and analyze. Another class of the “Saffi” school in the area of San Donato, Bologna, produced a postcard which invites you to meditate about these themes, using a young slang. It starts from the use of an every-day language which identifies teenagers’ life style.